If you're wondering why plants in your garden aren't thriving, or, perhaps, why certain weeds seem to be taking over, it may be time to test your soil's acidity. Soil acidity (and acidity of anything else, for that matter) is measured on a scale of 1 to 14. Everything below 7 is considered to be acidic. Everything above is considered to be alkaline. Most garden plants thrive at a pH between 6 and 7.5. The reason a pH between 6 and 7.5 is optimal for garden plants is that between 6 and 7.5, phosphorus in the soil is soluble - meaning that it dissolves in water and is taken up by plant roots. Phosphorus is one of the three macronutrients all plants need (in the NPK ratios you see on packaged fertilizers, phosphorus is the center number) and is responsible for helping the plant bloom and set fruit. Three basic things cause acidic soil. 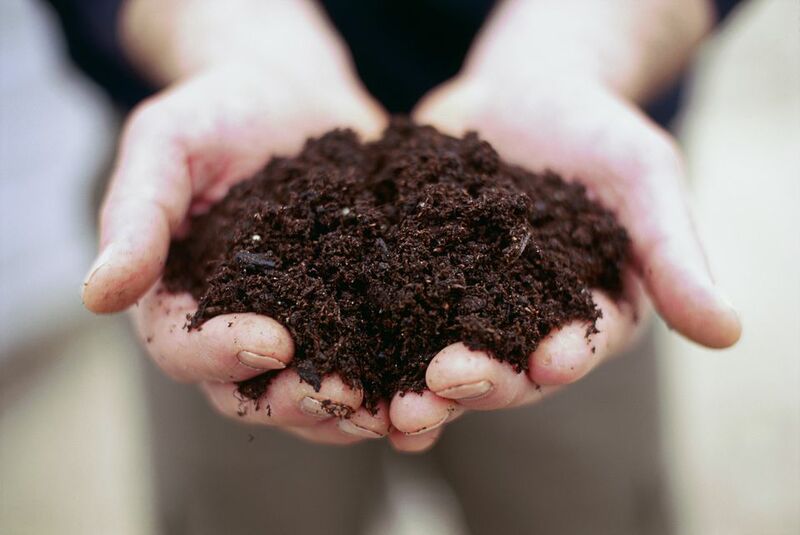 The first, and most common, is that the organic matter and minerals that break down in soil over time are acidic in nature, and make the soil acidic. This is common in pine forests and peat bogs. The second way soil becomes acidic is via leaching due to excessive rainfall or irrigation. Too much water results in key nutrients, such as potassium, magnesium, and calcium, being washed out (leached) from the soil. These elements all prevent soil from being acidic, so when they're leached out, the pH level of the soil starts to drop, resulting in acidic soil. Another way soil becomes acidic is the use of high-nitrogen synthetic fertilizers. These fertilizers are usually ammonia-based, which increases soil acidity. There are a few methods you can use to test your soil's acidity. The first is to send a soil sample to your local cooperative extension office and have them analyze it for you. The results will not only tell you what your soil's pH is but will tell you about your soil's nutrient levels (and deficiencies) as well. You can purchase do-it-yourself soil pH testing kits at most nurseries and garden centers. These usually cost less than $30 and are fairly easy to use. If you have some litmus paper on hand (remember high school chemistry? ), you can take soil samples, mix them with water, and dip the litmus paper in to test the pH. There's also a really quick, free test you can do at home using nothing more than vinegar to find out if your soil is acidic or not. Having acidic soil doesn't mean your gardening days are over. Certain plants, such as blueberries, foxgloves, azaleas, heather, and strawberries prefer acidic soil, so you may decide to plant those plants that will naturally thrive in your acidic soil. If you have your heart set on growing a vegetable garden or other garden plants, you can amend your soil to raise its pH level, which takes a bit of time but is doable for most gardeners. Knowing whether your soil is acidic or not is a necessary first step in the process, and now you know how to determine whether your soil is acidic or not. Why Is Good Garden Soil So Important? Healthy Garden Soil - Make it Great!